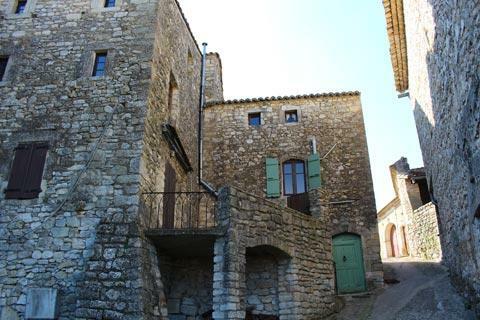 The small village of Montclus is a picturesque village in the northern area of the Gard department of Languedoc-Roussillon. 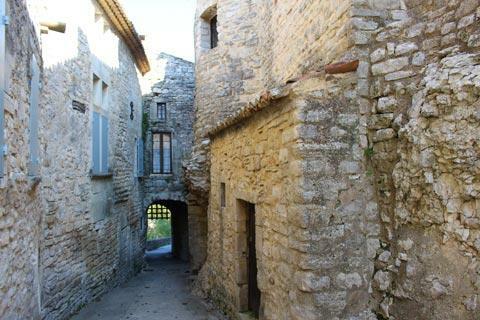 This historic village is in a peaceful setting on the banks of the Cèze river surrounded by vineyards, lavender fields and woodlands and on a small hill with almost a complete lack of modern development nearby so it has retained a great deal of its charm and is now listed among the 'most beautiful villages in France'. 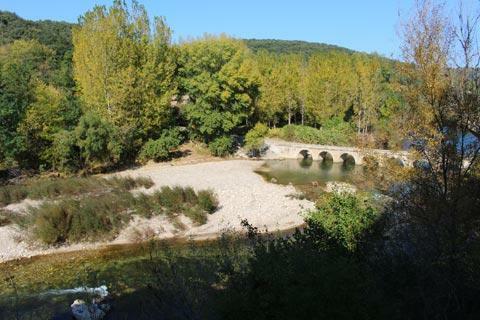 The village itself is a short drive along a quiet country road that follows the river between the vines. 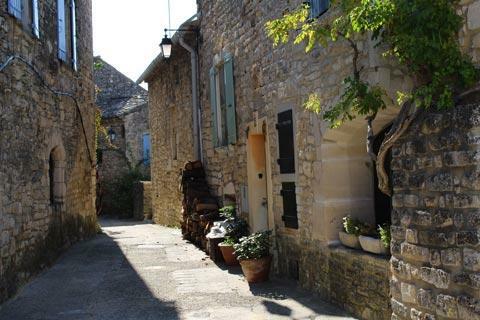 This road leads you to a car park just below Montclus, which is a pedestrianised village. 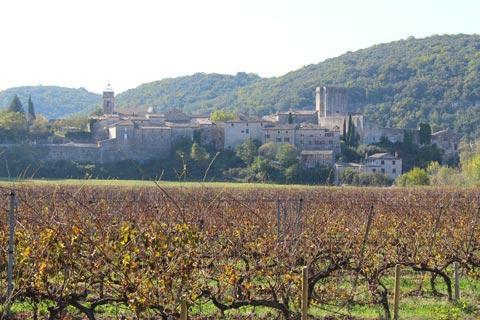 Even as you approach you can see that it is going to be a lovely village: there is not a single new house in sight and the ancient castle and houses of Montclus are spread along a ridge ahead of you with wooded hills behind. 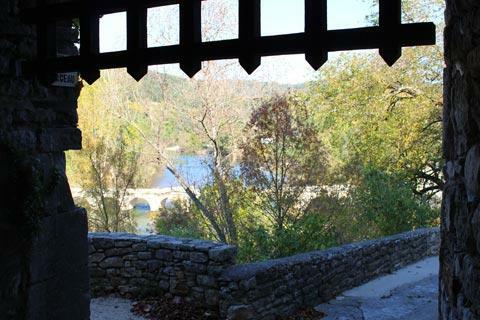 As soon as you leave the car park you see a small bridge across the river which has been here since medieval times. From the bridge you have lovely views in both directions along the river with the village ahead but keep an eye on the children: the bridge has no side barriers! 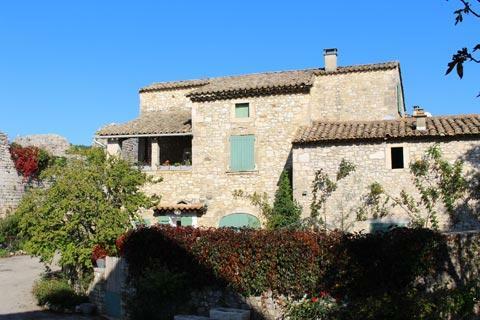 Exploring Montclus doesn't take too long, but you can see lots of traditional stone houses in the village centre which is very charming as well as having occasional views out across the countryside and river valley below. 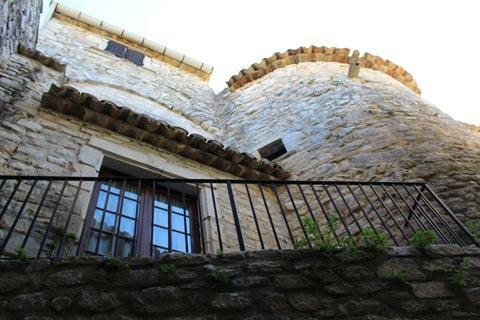 The steep streets and vaulted passages also add charm to the village. 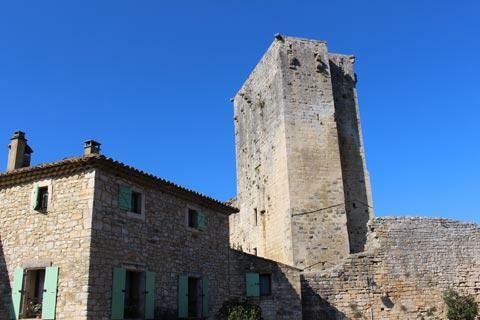 The principal monument in the centre of the village is the castle that was built in 1275. 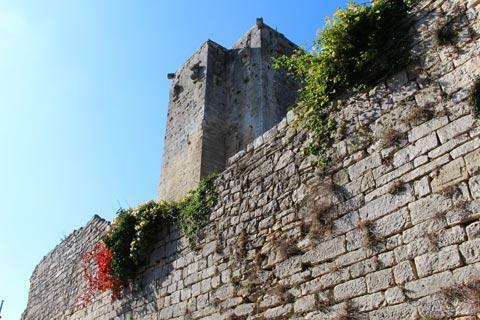 The large square keep (or donjon) and some high stone walls are the main parts that remain of the castle which is very typical of the style of 13th century castles in the region. France This Way comment: despite being listed among the 'most beautiful villages in France' Montclus seems to be battling to keep its character and avoid tourism: there appears to be little information available for the village, there are very few road signs in the region to tell you where the village is, and when you get here you will find almost no facilities for visitors except the chance to have a picnic next to the river. 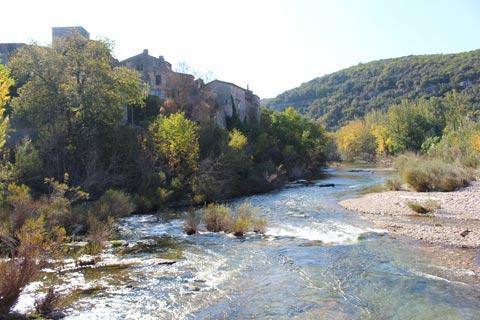 After visiting Montclus I discovered there is also a troglodyte monastery in the village that was built by the Templars - either I didn't see it or I did and it didn't stand out. Either way I'm annoyed that I didn't see it and won't be able to get back here for a while - make sure you keep an eye out for it if you visit! 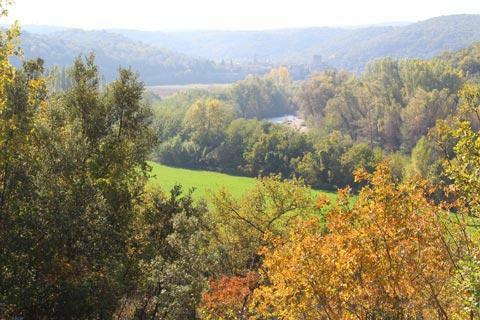 This area of the northern Gard department is one of our favourite areas of France with its attractive countryside and small villages to explore. 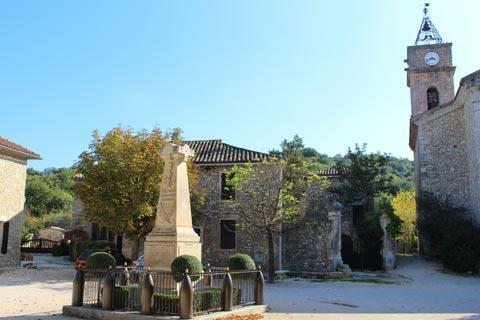 Among those close to Montclus you should visit Aigueze and Barjac while to the south you can visit La Roque-sur-Cèze, Cornillon and Goudargues. 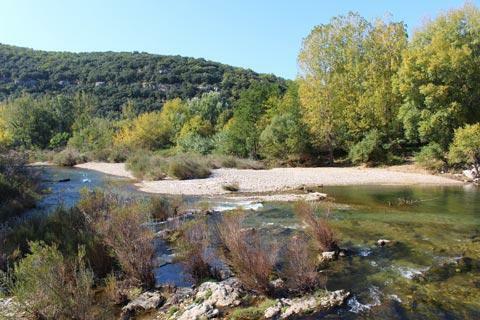 There are also lots of natural scenic highlights including the Cascades du Sautadet (near La Roque-sur-Cèze), the Aven d'Orgnac cave system, the concluses (river cliffs) near Lussan and not far north you can explore the very beautiful Gorges de l'Ardeche.